The finishing touches were added to the newest SmartStop in the Russell neighborhood. 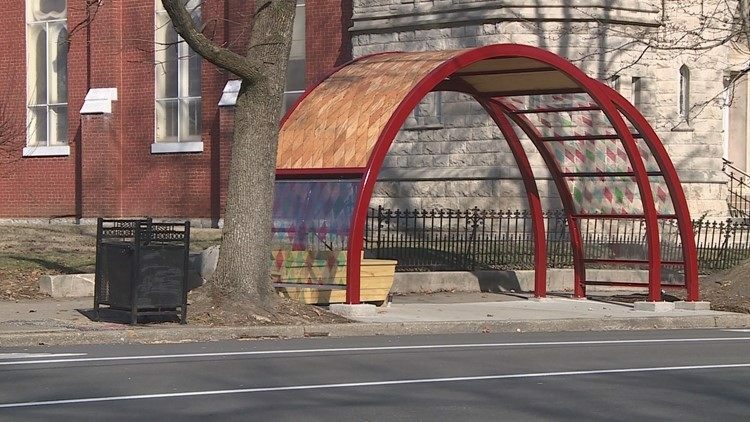 The Louisville Metro Housing Authority, architects from Luckett and Farley and members of the community decorated the bus stop at St. Peter’s United Church of Christ on West Jefferson Street. The bus stop now has positive words and images on colorful, stained glass panels. “It’s just your self-expression and whatever you want to put up there that resembles you, that you can identify with or you want to portray someone else – you can draw a picture, or you can write something with inspiration on it or whatever you decide to do,” Thomas Williams said. Williams said it was a great opportunity to give back while improving his neighborhood.